Should You Invest in Wireless Burglar Alarm Security? One of the most effective forms of burglary prevention is the use of visible deterrents, such as burglar alarms – especially when placed in prominent positions on the exterior of your property. Based in Bromley, Kent, we specialise in the installation of security systems, including wireless burglar alarms. If you want to maximise the security of your property then a high-quality alarm system should be used in conjunction with solid locks, well maintained double glazing, and sturdy doors. Each extra layer of security that you add is an investment into the protection of your property and valuables. 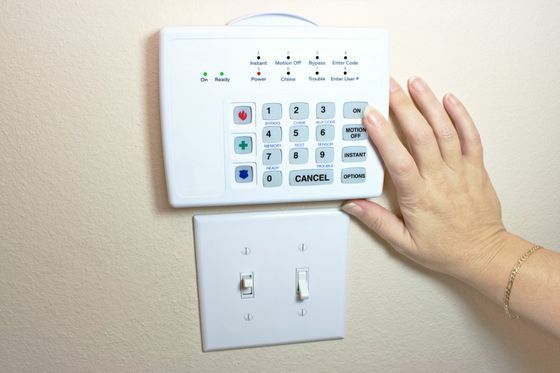 Wired or wire-free burglar alarms both have the same function – to prevent intruders from entering your home or business without your permission. Wireless alarms work in the same way as traditional wired alarms, but without the need for extensive cables along the outside and interior of your property. At A & E Locksmiths, we put the needs of our customers first. Depend on our father-daughter team to assess your circumstances and recommend the best security solutions for you and your property. These products range from budget devices with simple features, to full scale security systems and CCTV that collect data and contact the authorities in an emergency. Contact us today, in Bromley, Kent, to receive more details about our wireless burglar alarms and security systems.